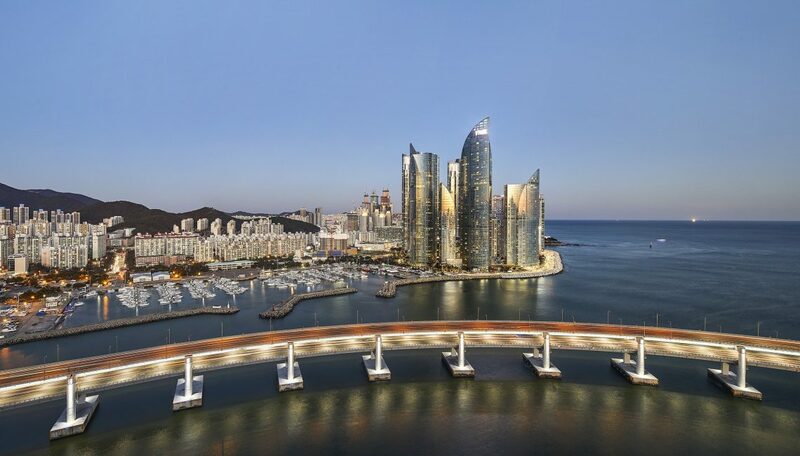 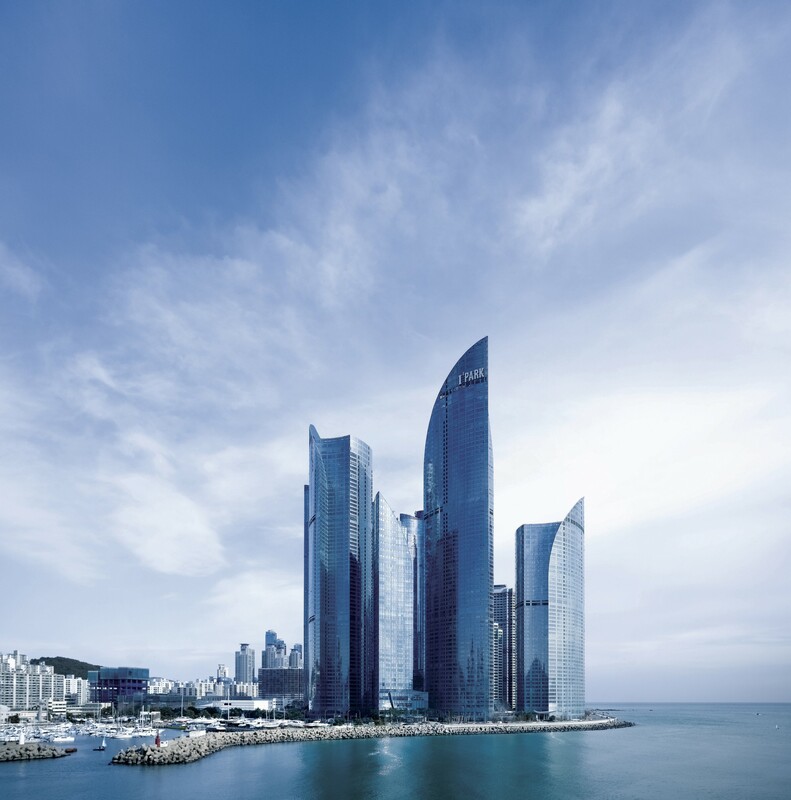 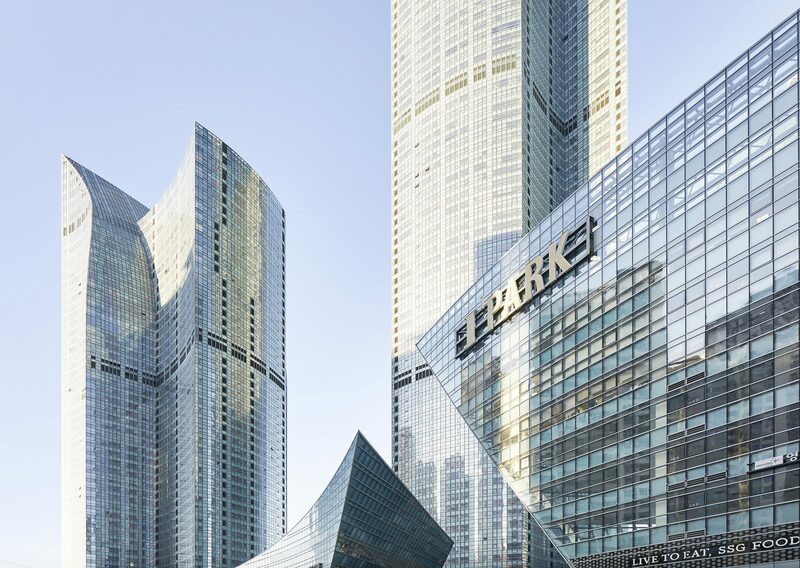 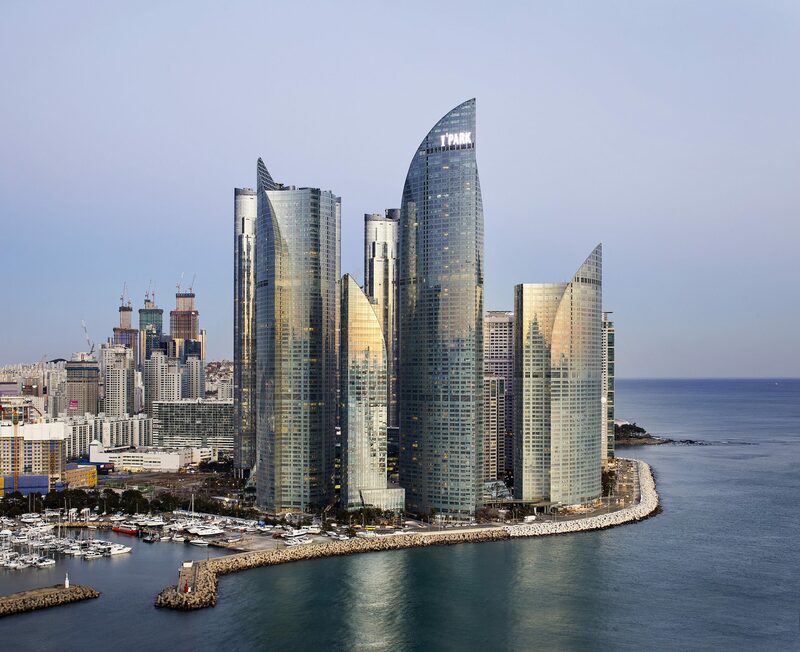 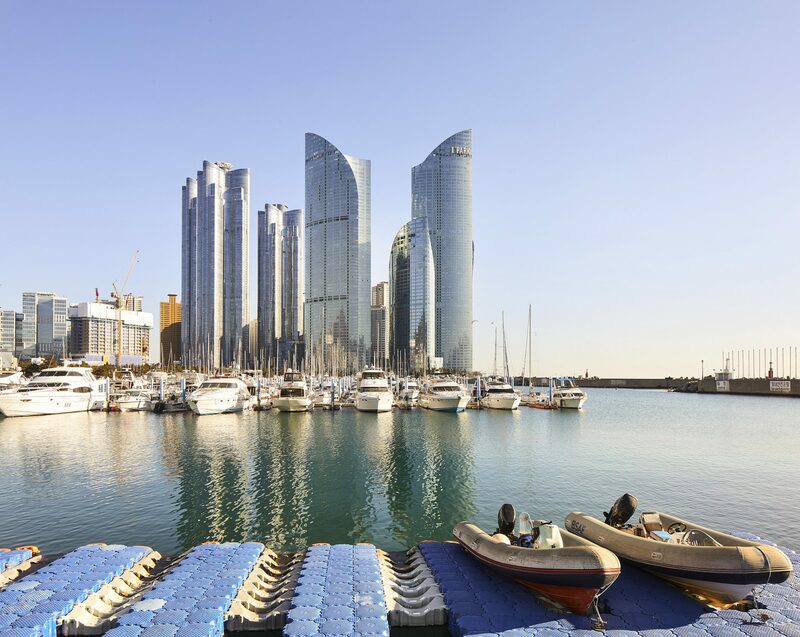 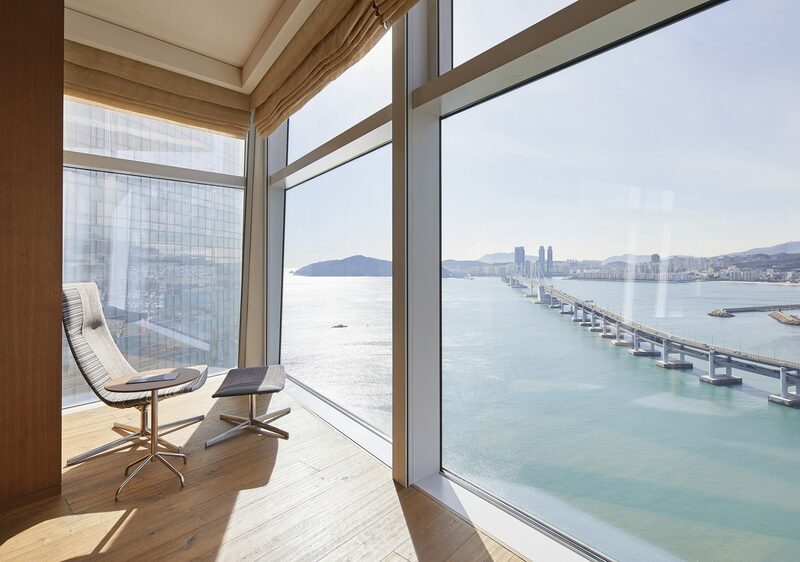 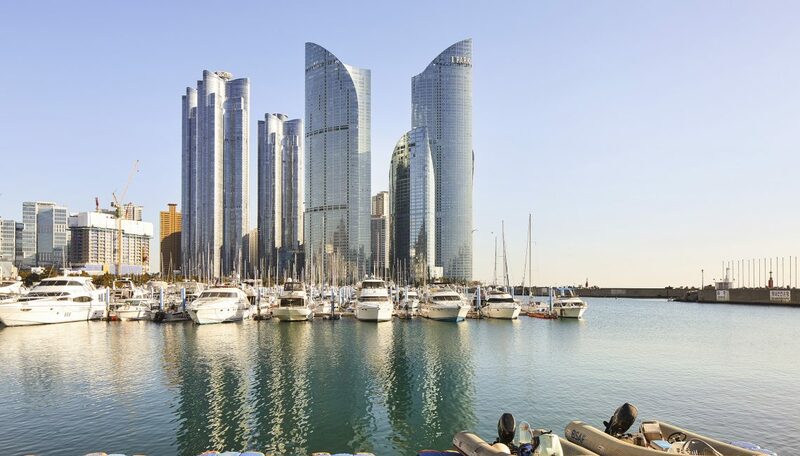 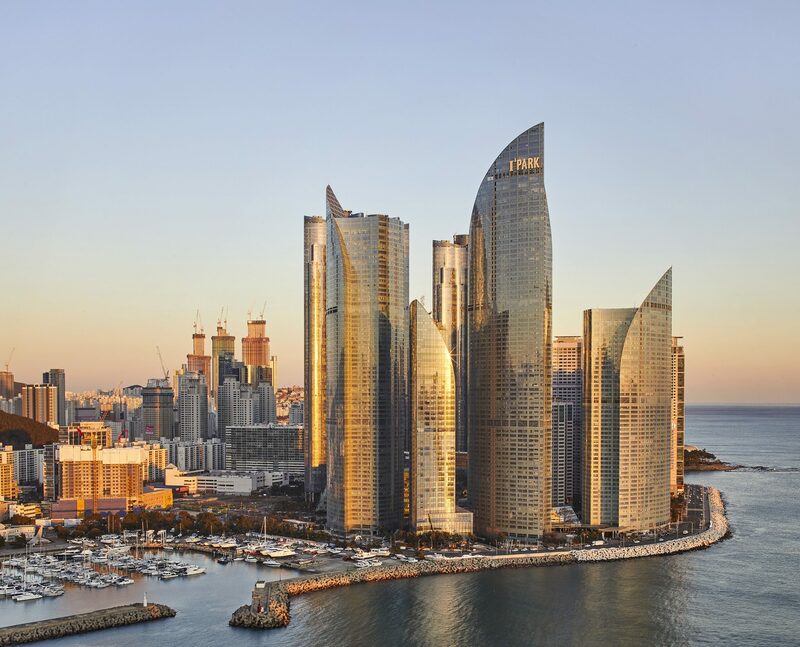 Here, on the waterfront of the southern city of Busan, the largest city in South Korea after Seoul, Studio Libeskind created the tallest residential tower in Asia*. 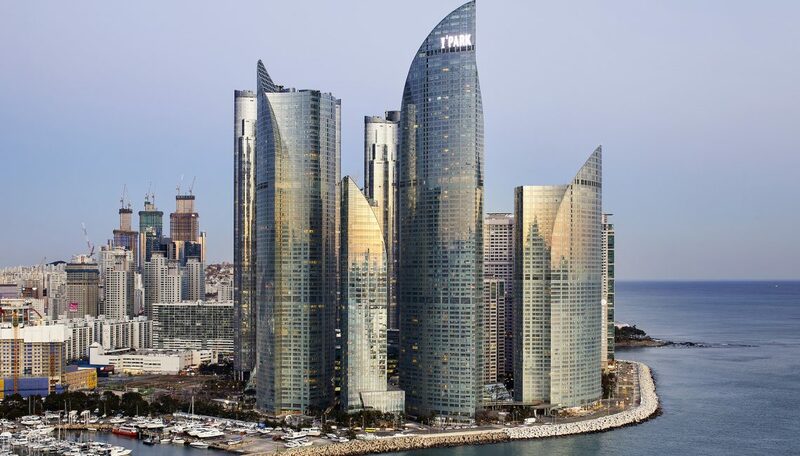 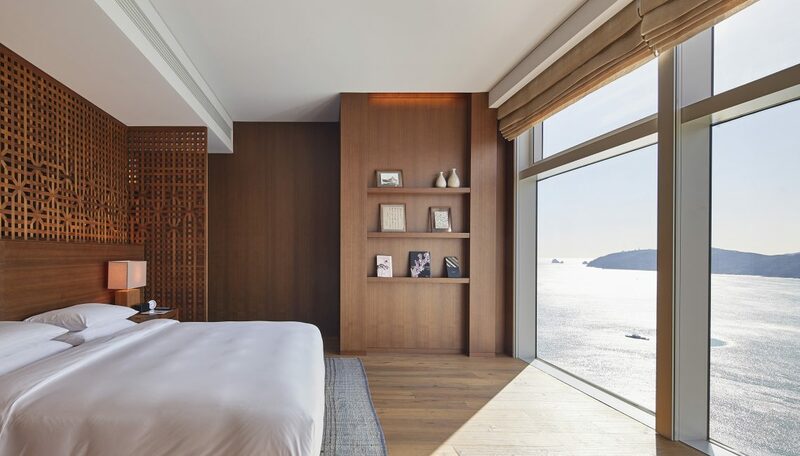 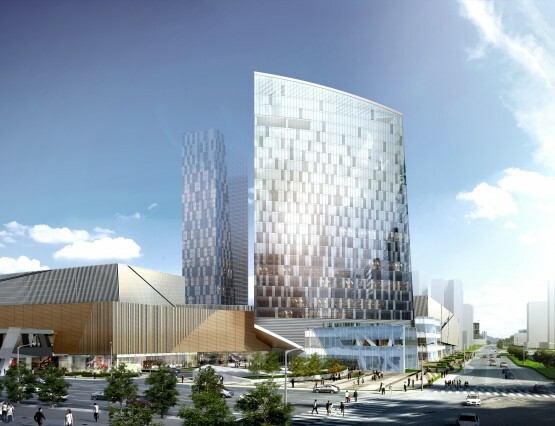 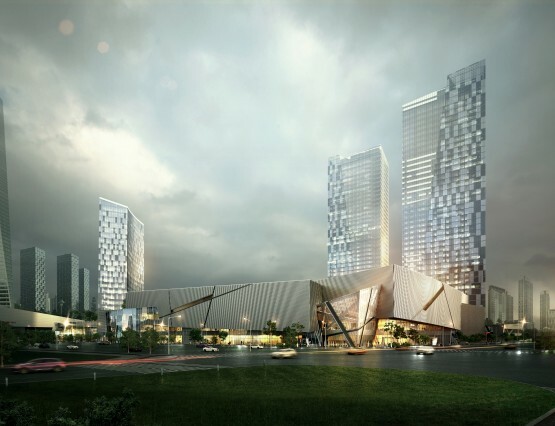 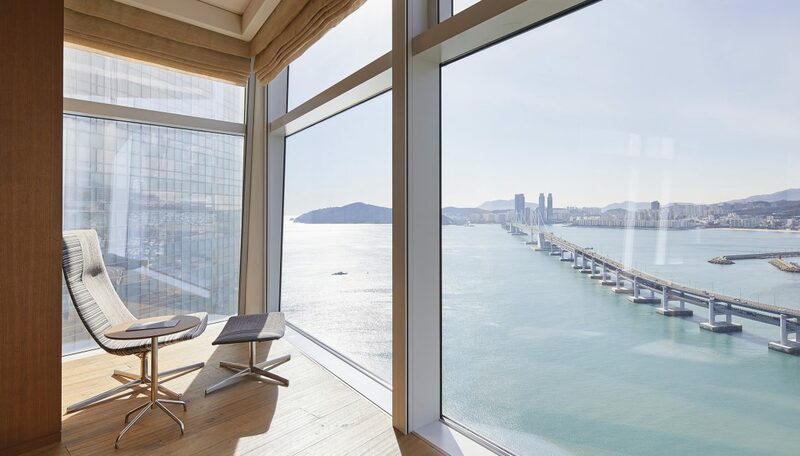 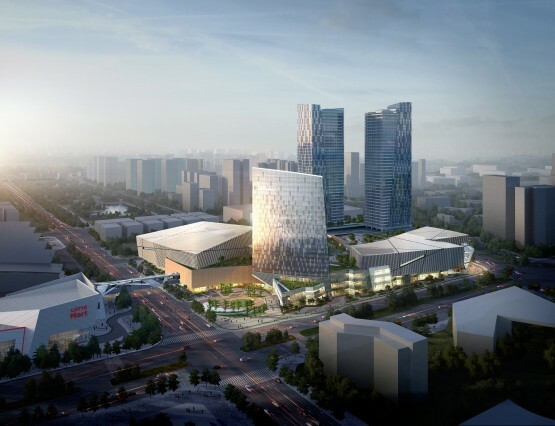 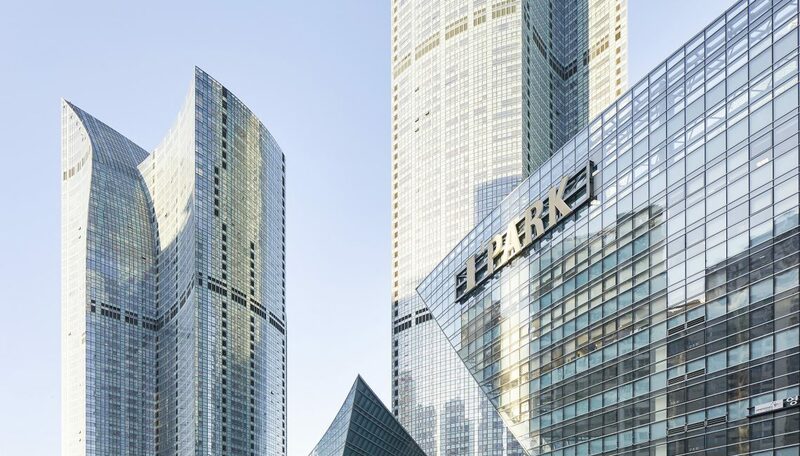 The Haeundae Udong mixed-use project also encompasses two other residential towers, a 34-floor high-rise hotel, an office tower, and a three-floor retail building with residential units—altogether a 4 ½ million-square-foot development. 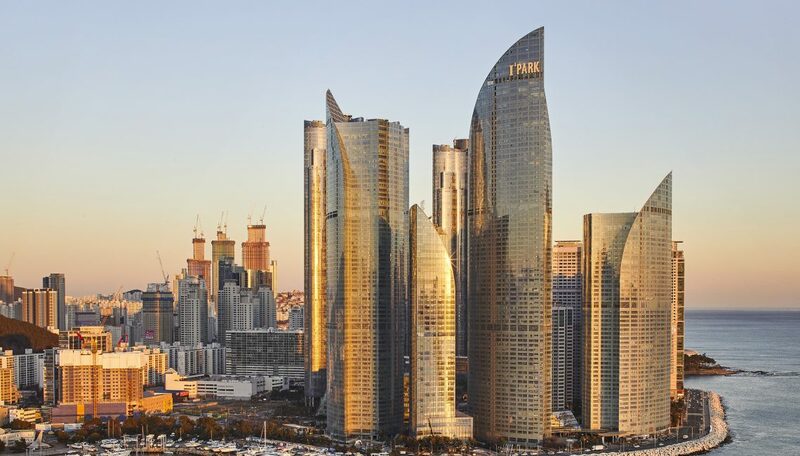 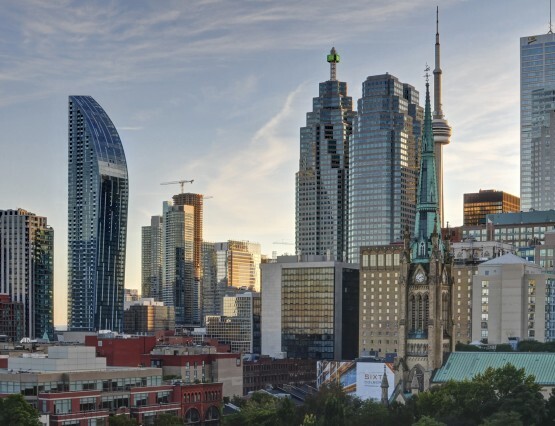 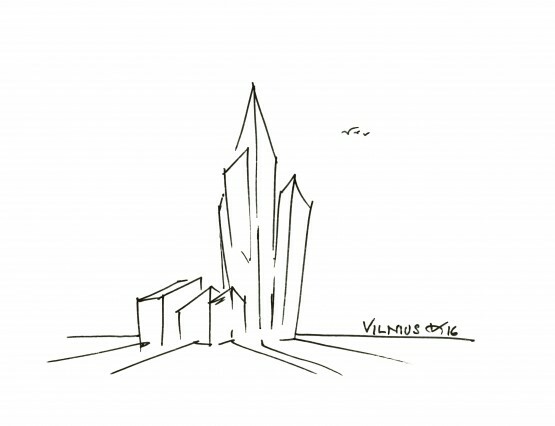 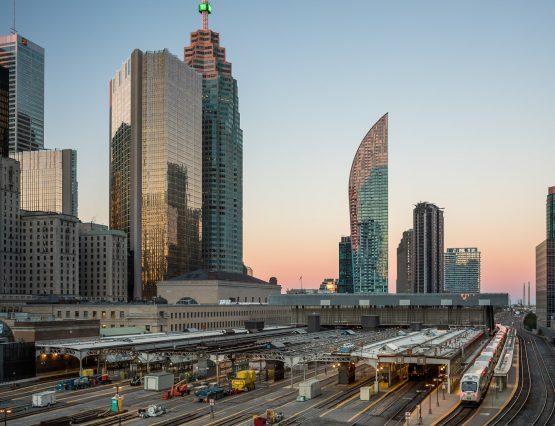 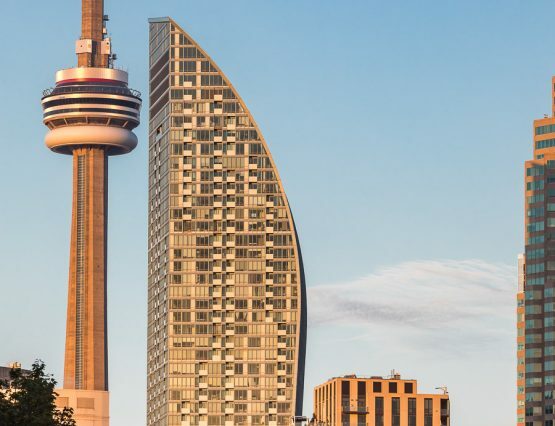 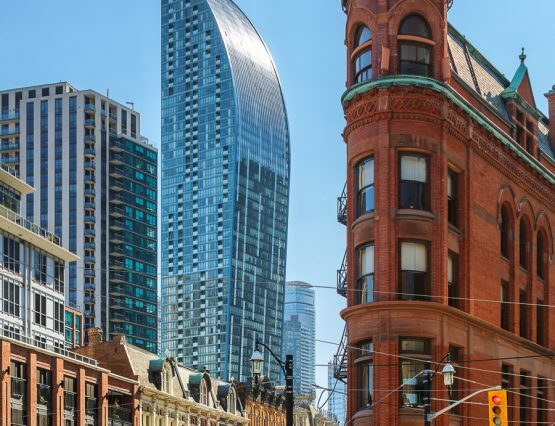 Instead of simply extruding the footprints of these oceanside buildings, Studio Libeskind varied the heights, curved the façades and tapered the profiles to create a sculptural composition on the horizon. 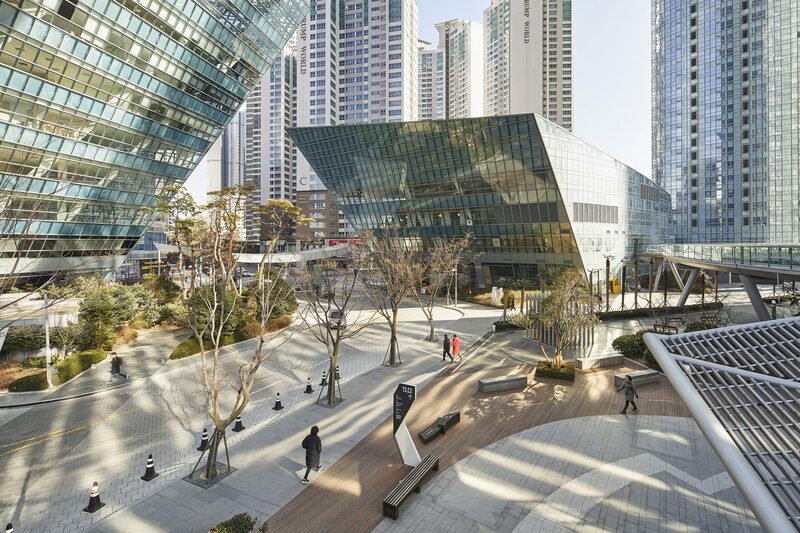 The curvilinear geometry serves a sustainability strategy, harvesting and modulating natural light. 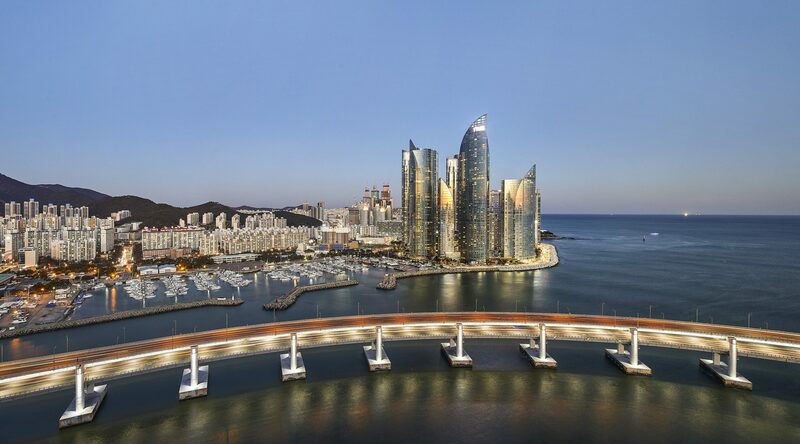 The concept is a homage to traditional Korean architecture, which often derives its forms from natural beauty—the curl of an ocean wave, the unique composition of a flower petal, or the wind-filled sails of a ship. 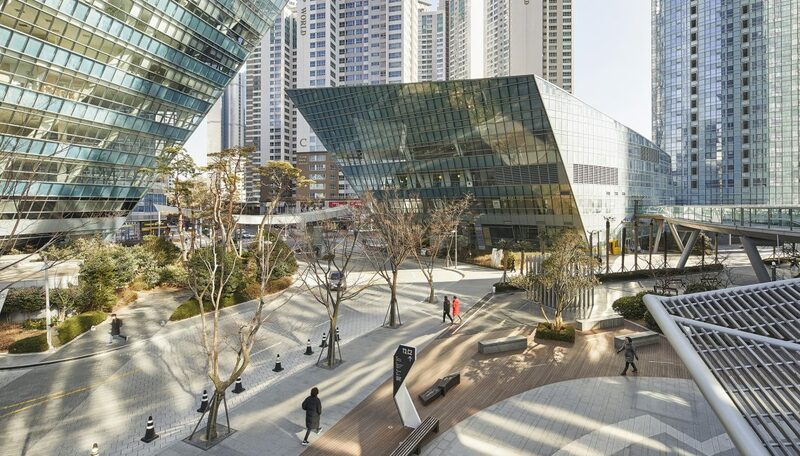 ARUP, Dong Yang Structural Engineers Co.
Saegil E & C Co.